Hi all.. I showed you the sneak peak of this look. 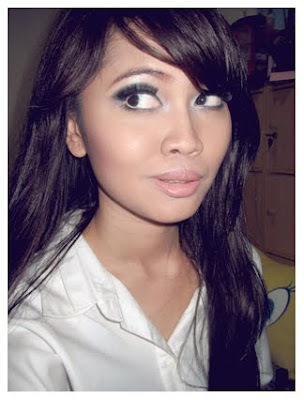 This is one of my favorite make up! Inspired by Twiggy, Sharon Tate, Edie Sedgwick, Ingrid Superstar.. and so on.. 60's! 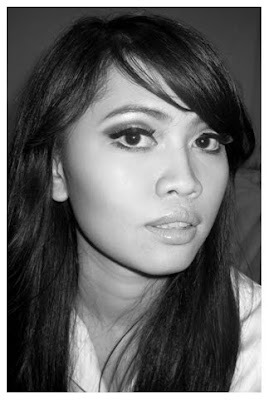 When the eyes were the focal point of the face: smokey, cat eyes, curled and long lashes, dark eyeshadows. This look is gorgeous! It is appropiate for evening parties or other events. Enjoy ladies..
full and long eyelashes, black eyeliner, natural blush. And it looks more dramatic on black & white!